Six Pack: Working Abs, curated by Hannah Israel combines six painters who utilize nature, technology, and psychology in works that combine digital and conventional media and play with spatial reconfigurations. 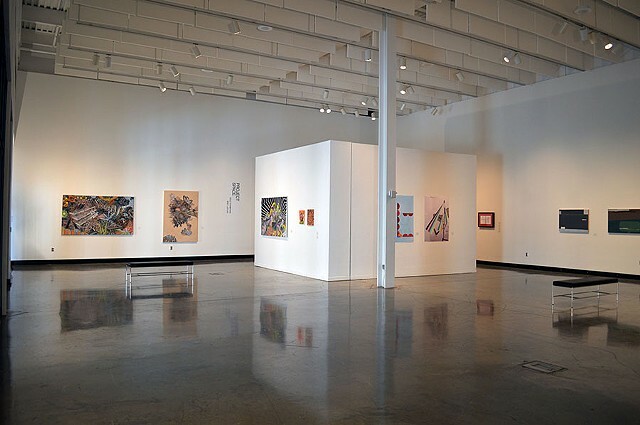 The artists participating in the exhibition, Mathew Zefeldt, Jon Barwick, Laurel Farrin, Dan Devening, Frances Barth, and Douglas Degges, exercise the themes of abstraction to revive the nonobjective aesthetic and concepts as a way to explore our contem¬porary world. Exhibition on view: September 4  October 5, 2012.